Alki Beach in West Seattle offered a perfect picture of summer Wednesday afternoon. I saw people playing volleyball, roller-skating and enjoying the long awaited sun and warm temperatures, which reached a record high of 90 degrees. A year ago, I came here to witness the Seafair Pirates landing. What a spectacle that was! This Saturday, the swashbuckling buccaneers will be storming this beach again to declare the official start of Seafair. West Seattle also celebrates its 28th Annual SummerFest throughout the weekend. 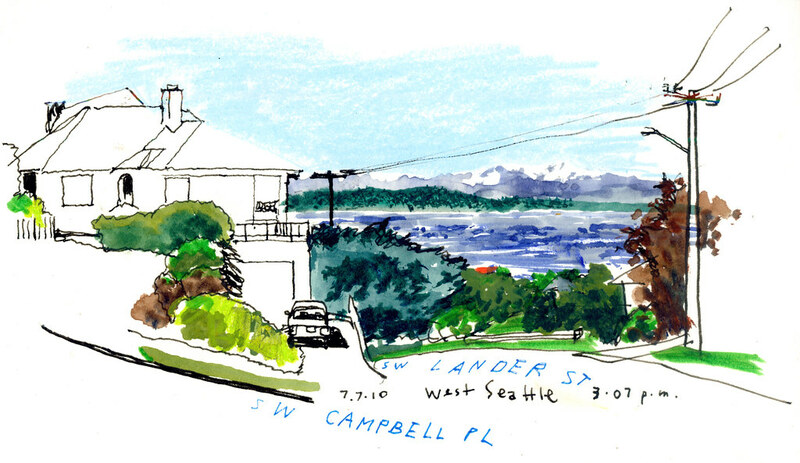 With or without pirates, West Seattle is well worth a summertime visit. 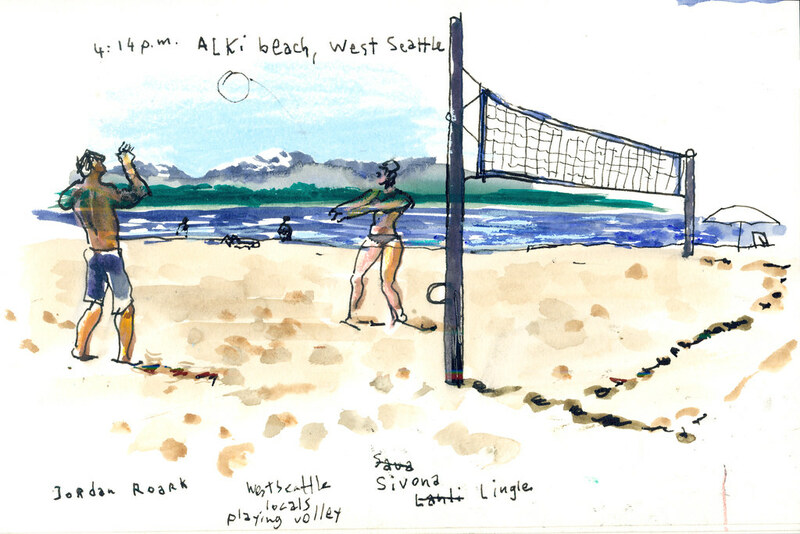 You may be able to get awesome views of Elliott Bay and the Olympic Mountains from other parts of the city, but where else in Seattle can you feel like being on a sandy California beach?